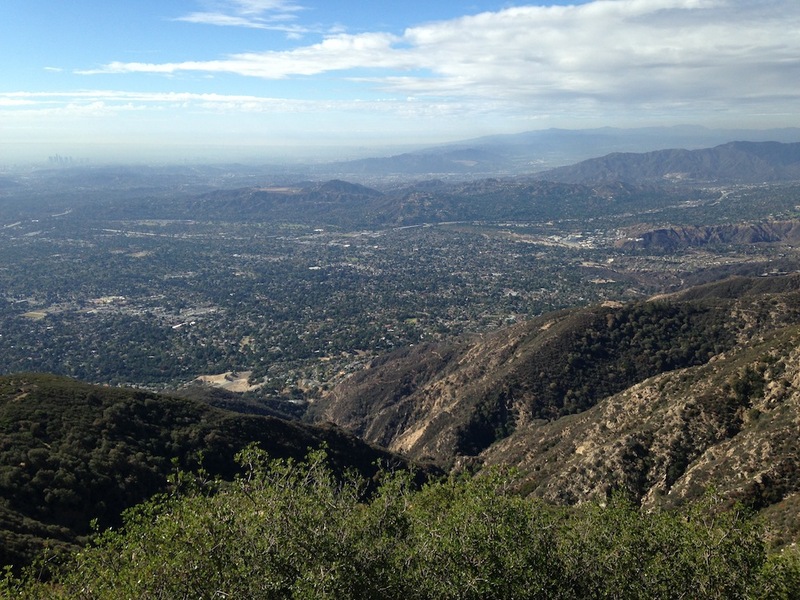 San Gabriel Mountains | Keep It Up, David! 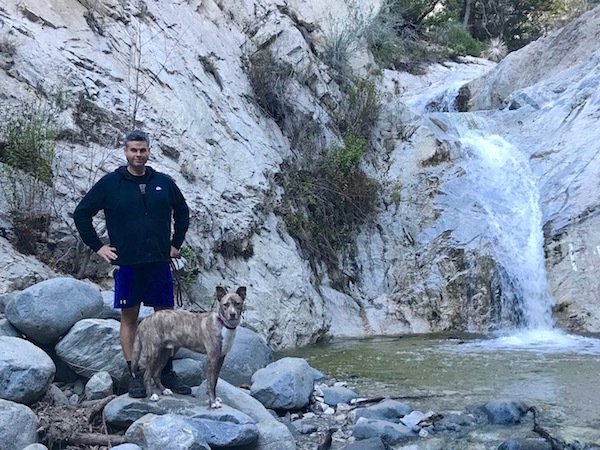 I wanted to start the new year off with an exciting exercise adventure. 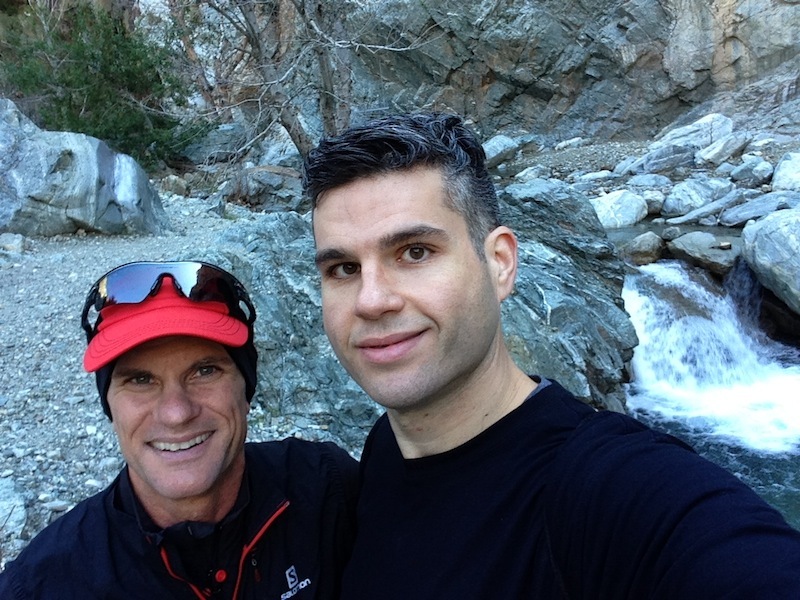 So I roped in my pal Jeff (who’s always game to explore someplace new), and on the second day of 2015, we headed out for a hike. Sometimes a 7-hour hike is just what the doctor ordered. Who can argue with views like this? Of course it started to rain the other day as I drove to go on a hike. Of course it didn’t stop raining until well after I got back in my car following the hike. And, of course, it was one of the best hikes I’ve ever taken. Mt. Lowe. Exit 210 at Lake. Head north until Lake dead-ends. So, the other day, I did exactly that. 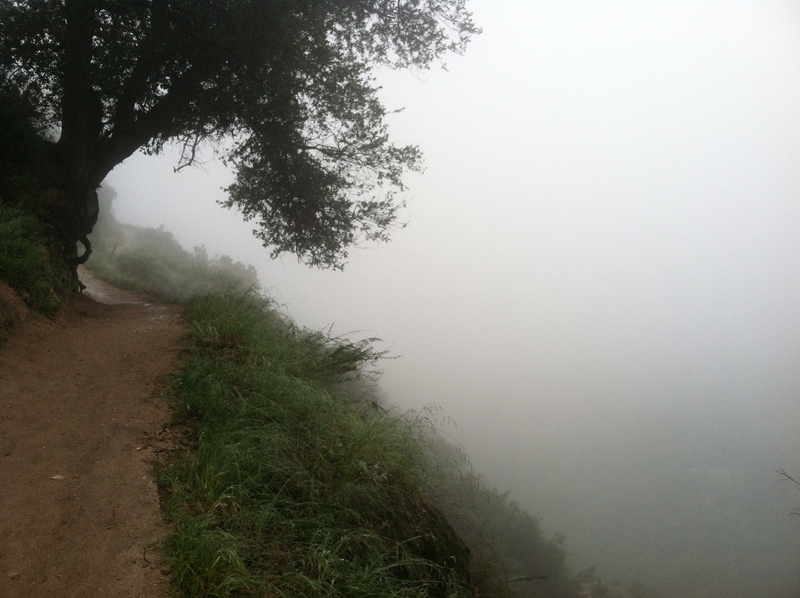 I didn’t look into what was at the end of Lake, or the difficulty of the hike – I just went. 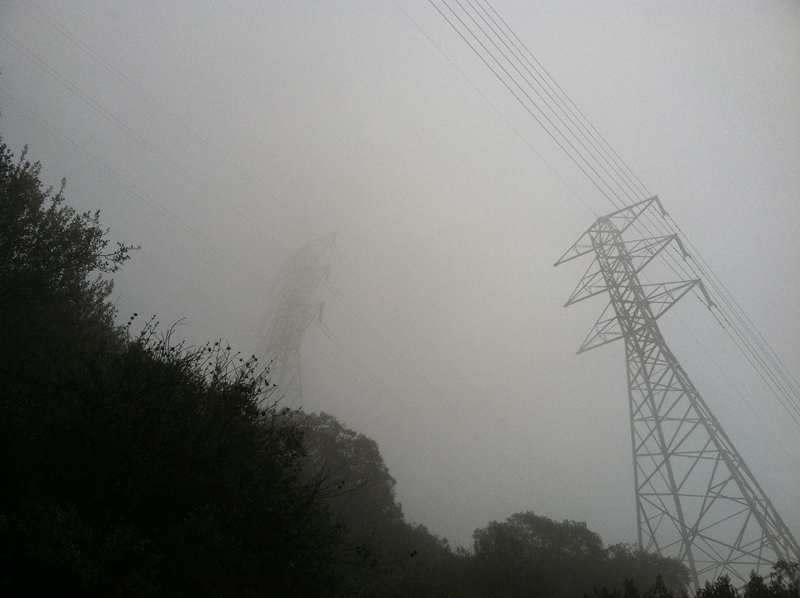 I ended up spending over two hours on the mountain, ascending and descending into some serious fog. It was gray everywhere, and it was absolutely stunning. 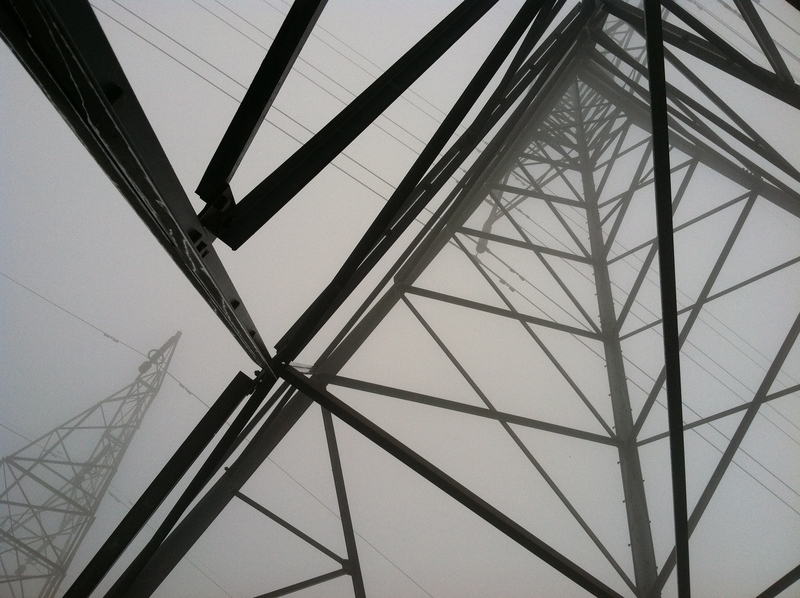 The fog added a huge element of mystery and surprise – I literally had no idea what was around the next corner, or which direction I was heading. After the hike, I settled in with my laptop, and did some research into where I had just been, and what I found was utterly fascinating. Just like that, my hike went from awesome to awesomer. The trail begins at the gate to the Cobb Estate. Charlie H. Cobb made his fortune from lumber, and in 1918, he and his wife built their dream house in the foothills above Altadena, CA. They lived there for slightly over 20 years, until Cobb died in 1939. Cobb made news in 1935, when, at 83 years old and armed with just a garden hose, he saved his house and family from an encroaching forest fire in the middle of the night. Eventually, the Marx Brothers wanted to turn the land into a cemetery, an idea that was hated by the community. In 1971, after those plans fell through, the Marx Brothers decided to auction off the land to developers. That plan was foiled by a group of high school students, who, in just one week, raised a commotion in the media and caught the ear of a local wealthy art collector, who helped them buy the land at the auction. They turned the land over to the Forest Service, with the condition that it could never be built on. The story of the auction is riveting stuff – read a great article about it here. 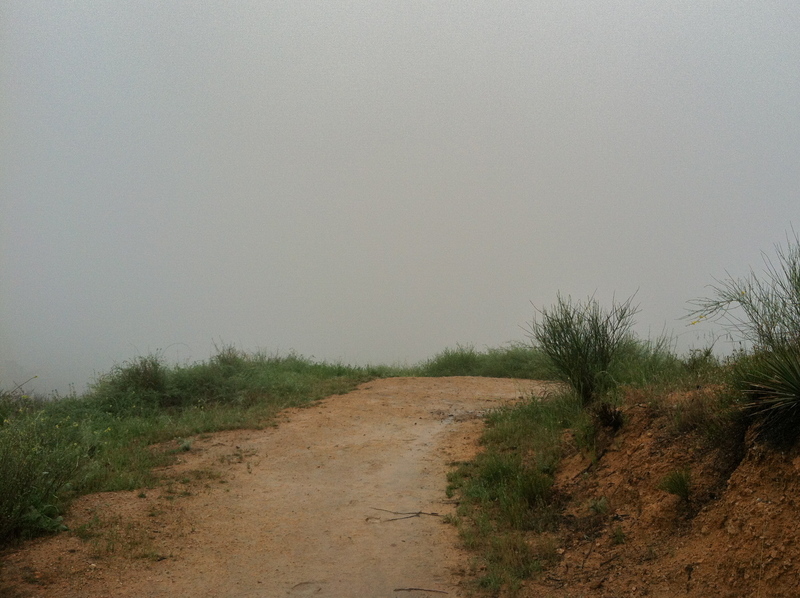 The trail went up a mountain, and I got higher, the fog got thicker. 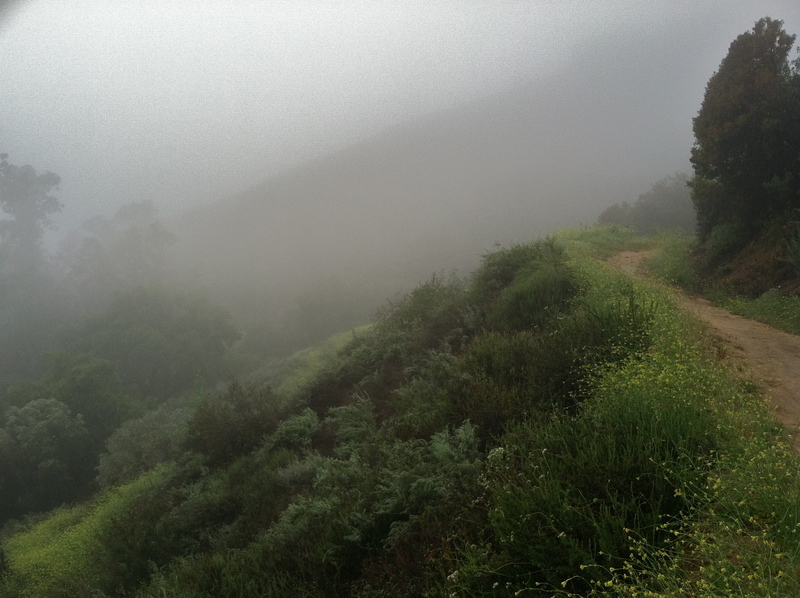 There were all these wonderful moments when I would see the trail curve ahead of me, and there was nothing beyond but fog. 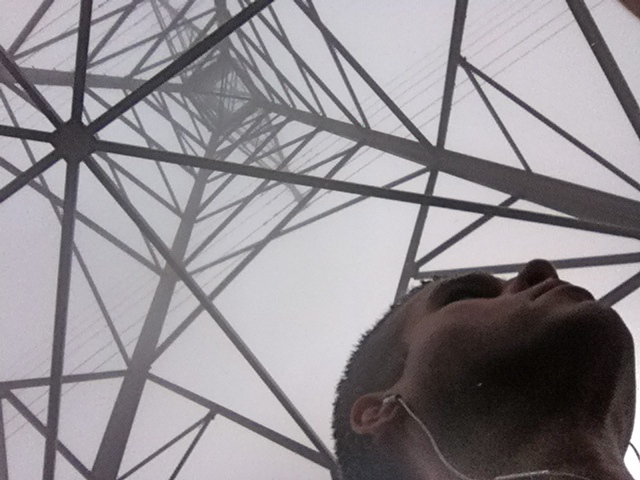 After a switchback or two, the trail went directly beneath one of the towers. The entire experience was unlike any other I’ve had, mostly because of the weather. 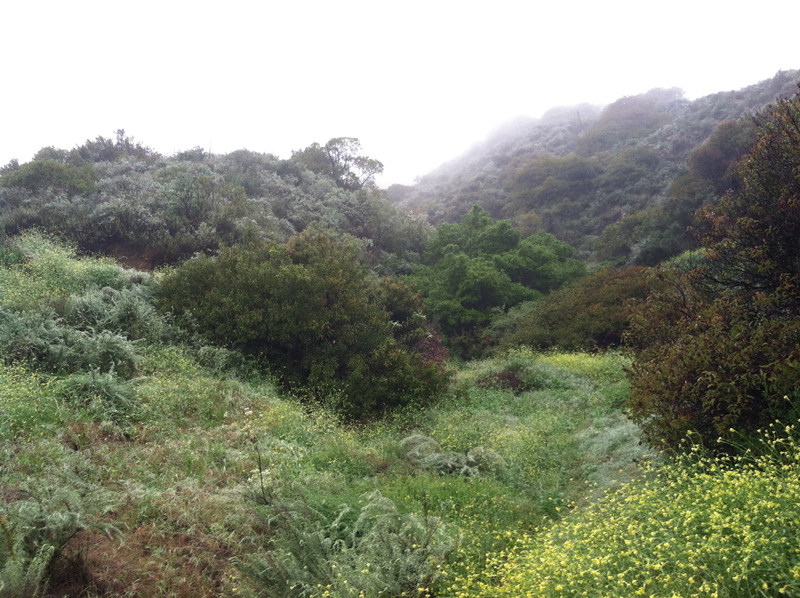 Rain is rare is Los Angeles, and even though I was soaked by the end of the hike, I loved every second. 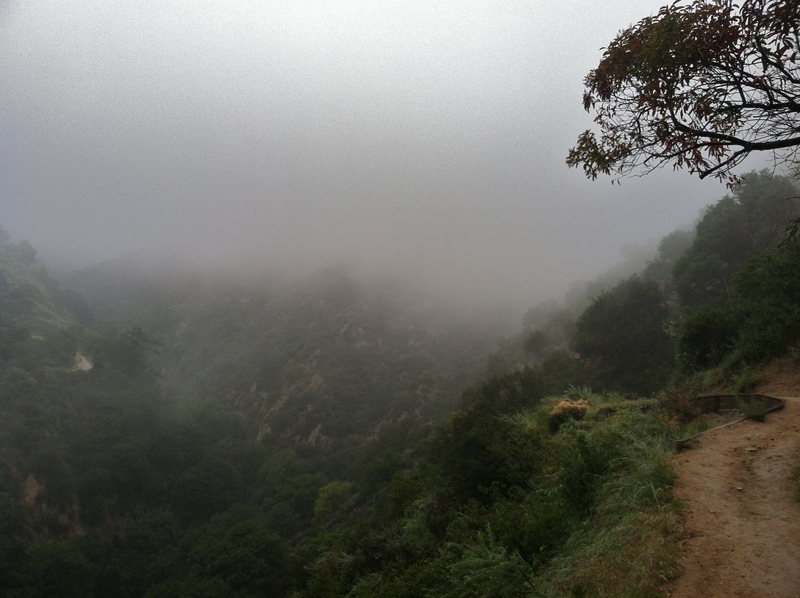 For the most part, I was alone on the mountain (in 2 hours, I came across maybe 8 other people), and the fog and the gray made everything seem… a little unsettling. A little eerie. Turns out I’m not the only one that thinks that way. 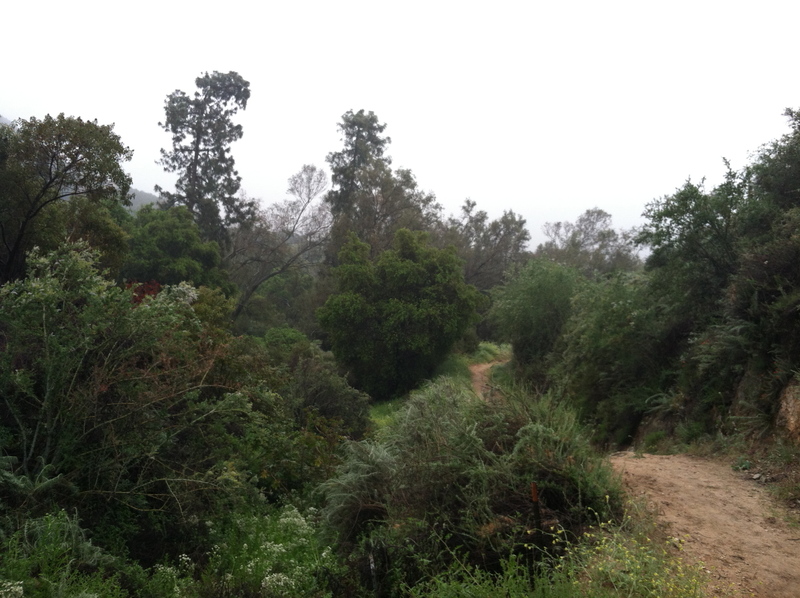 One of the other things I learned after my hike was that the Cobb Estate has another name: The Haunted Forest. I couldn’t track down specific stories of spooky occurrences or unexplained activity, but apparently the Cobb Estate is a whole different place at night – a place where there are weird lights and sounds, and where people have claimed to have been ‘touched’ when no one’s there. 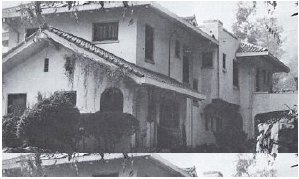 Thankfully for all of us, the very-official-sounding Los Angeles Ghost Patrol investigated the Cobb Estate – you can read their write-up (and watch videos) here. 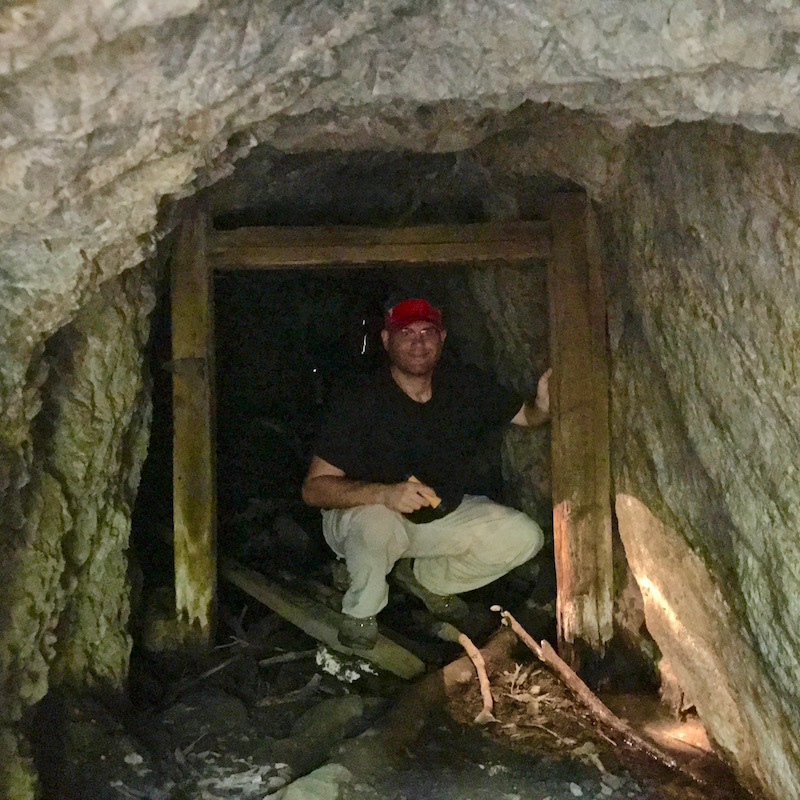 Lastly, I also learned that had I continued on that trail for a few miles longer, I would have come across some more ruins from another fascinating chapter in Altadena’s history. 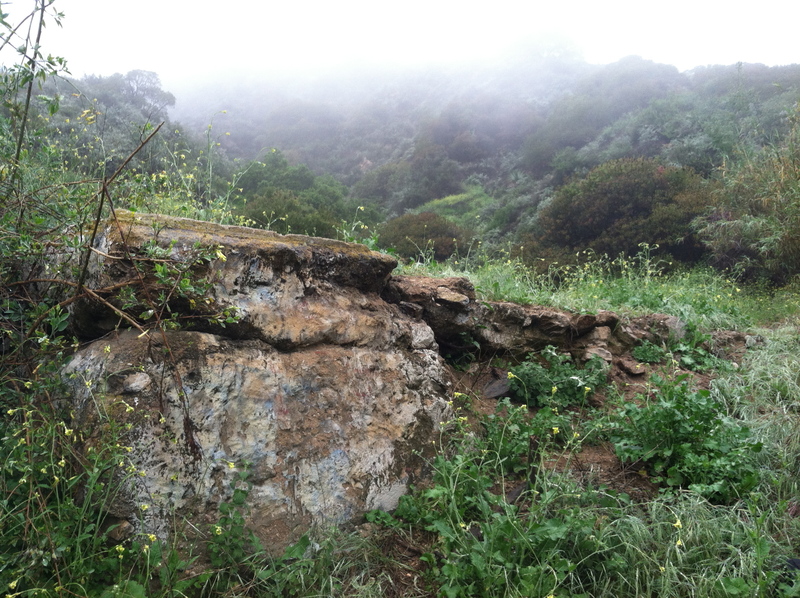 I’ll share those details at some other point – probably after I go back andfind those ruins on another hike. It gives me something to look forward to. I kinda also wanna go back to the Cobb Estate at night. Who’s up for a nighttime hike in the Haunted Forest? Anyone wanna come with? And did I mention that it was an tiring hike? I have no idea how far up the side of the mountain I went, but I was definitely feeling it in my quads later that day.